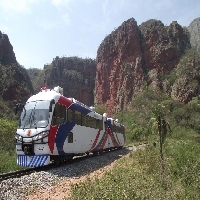 Ferroviaria Oriental S.A. is a bolivian train company that offers transportation services for passengers and cargo through the Bolivian East. The company manages a concession of 1.244 Km of train tracks, conecting the south-east in Santa Cruz, the south with Argentina and to the East with Brazil. The company's mission is to Provide safe land transportation services with efficiency and quality, which intergrate the regions of the Chiquitania, Pantanal and Chaco. Through Tickets Bolivia, Ferroviaria Oriental offers train tickets in its two trains: Expreso Oriental and Ferrobus. 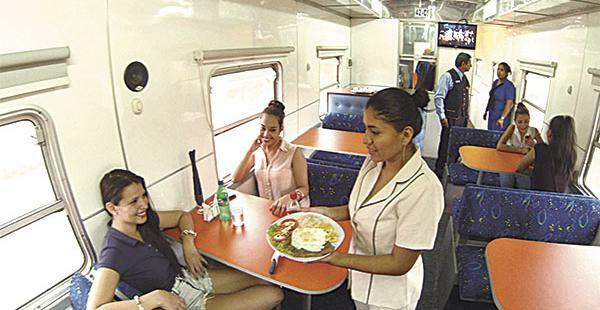 Expreso Oriental has Super Pullman seats with a reclination of 160 degrees. The train has a Restaurant Wagon and a Snack Wagon, TV on board, reading lights, chemical bathrooms and air conditioning. On the other hand, Ferrobus, offers passangers lie-flat seats with 170 degree reclination, air conditioning, meals included, TV on board and chemical bathrooms. Expreso Oriental departs from Santa Cruz towards Puerto Quijarro on Mondays, Wednesdays and Fridays at 13:30. The same train departs from Puerto Quijarro to Santa Cruz on Tuesdays, Thrusdays and Sundays at 13:00. Ferrobus departs from Santa Cruz to Puerto Quijarro on Tuesdays, Thursdays and Sundays 18:00, and from Puerto Quijarro to Santa Cruz on mondays, Wednesdays and Fridays at 18:00. Tickets Bolivia allows you to buy train tickets with all the comfort of online booking. We allow you to plan your trip safely and efficiently.